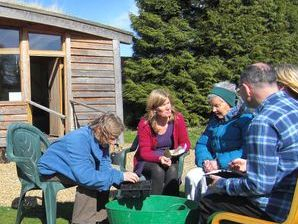 Welcome to Let's Get Growing, a registered charity, passionate about sharing the benefits of engaging with the natural world and tending a garden. "I go to nature to be soothed and healed and to have my senses put in order"
Let’s Get Growing is now a registered charity (registration no. 1172662), but was first established as a not-for profit social enterprise in 2008 and registered as a company limited by guarantee in 2010. There are currently 4 members on the board of trustees who between them bring a wide range of skills and experience in horticulture, community work, management and administration. Most importantly, we share a belief that bringing people of all ages more in touch with nature is transformative and has myriad benefits, personal, social and environmental. Project co-ordinators, Ross Menzies and Katrina Padmore are committed to sharing their personal inspiration in plants and nature with others. 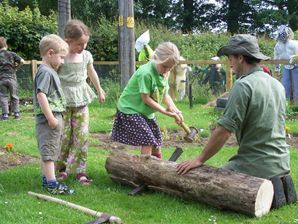 We work with both adults and children in gardens and in nature generally to promote a deeper sense of balance and well being - physical, mental and emotional. 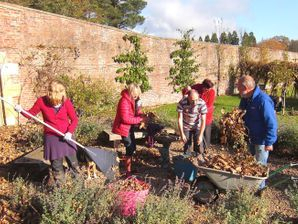 Alongside teaching practical horticultural skills, we aim to help people develop self-esteem and social confidence in a supportive group environment.